Overkill Tuning - Provides the biggest bang for your buck, particularly for flex fuel vehicles with our E85 tuning, and new modifications are supported as you add them so it's not a one and done tuning deal. Ported Intake Manifold, Intake system with 80mm Throttle Body - Sold as a kit, because everything works together. Larger throttle body and a replacing the small factory MAF housing with larger diameter components, and porting the intake manifold with matching to the larger throttle body all combine for better throttle response and upper rpm power. Tuning is required so do this after Overkill tuning. JacFab Intake Manifold Spacer - We didn't sell enough of these to keep them in stock but contact JacFab directly to see if the 2012+ Impala specific JacFab spacer is available. More minor mods - Exhaust work is small gains on the 3.6, you can install the mufflers you like and gain more sound than horsepower, but focus on the Y pipe section near the catalytic converters for the best gains. We are pleased to be a premier tuner for the 3.6 Direct Injection V6, codename "LFX", found in your 2012 and newer W-Body Impala. As V6 tuning specialists, Overkill is here to support all platforms that this engine equips, and we're very pleased that GM gave the last of the W-Bodys a great run with this terrific V6. Overkill LFX tuning is a complete and thorough recalibration of the engine and transmission computers. More power, better response, improved fuel economy, improved transmission behaviour, support for aftermarket modifications, whether you're an enthusiast or consider yourself a regular car own, these are changes that you'll appreciate and enjoy every time you drive your Impala. Instant throttle response, no more rubber band feel, NO NEED FOR EXTERNAL THROTTLE BOOSTERS! 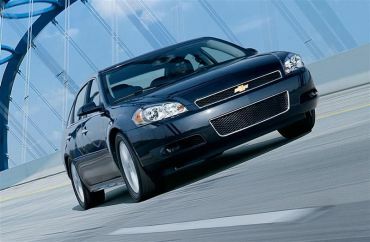 Autocal Handheld: The best way for us to provide tuning for your 2012+ Impala is through our Autocal handheld system. The Autocal handheld allows you to take the handheld to the vehicle, read the factory file, upload our Overkill tunes and provide scan data using just the handheld unit inside the vehicle. Return to stock calibration whenever you want, apply updates and retunes easily through email with us and Overkill retuning is available at no charge for as long as you own your vehicle. You'll need a computer that can run a windows based program and has a USB port to transfer files to and from the handheld.